COATED in Racing Orange paint, and featuring RAYS forged alloy wheels and special badging, Mazda has revealed the 30th Anniversary edition of the MX-5, ahead of the Chicago Auto Show later today. The Auto Show, which opens today, coincides with the sports car’s actual anniversary tomorrow, having debuted at the very same event some 30 years ago. 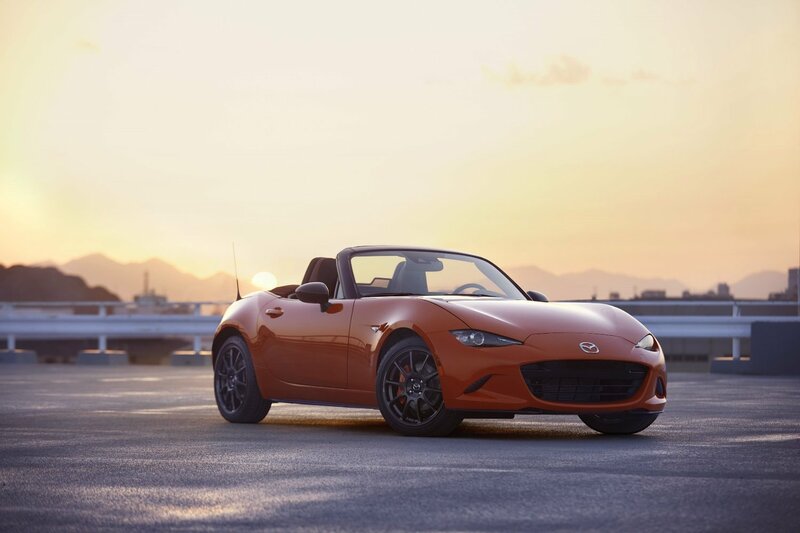 In addition to the new colour and wheels, the MX-5 30th Anniversary Edition features a 30th Anniversary badge that displays the model’s serial number, and a complete colour scheme with orange accents. These include orange Brembo front and NISSIN rear brake calipers, vent surrounds, seat piping and stitching, steering wheel and door trim stitching, dashboard decoration panel stitching, and shift / parking lever stitching. Just 3,000 examples, in both soft and hard top, will be available worldwide. Mazda Australia has confirmed just 30 soft-top models, based on the 2.0-litre Roadster GT, will come to Australia, with existing MX-5 customers given the first chance to buy them.